The Lodge offers a choice of dorms and family rooms (1 & 2 bedroom apartments). 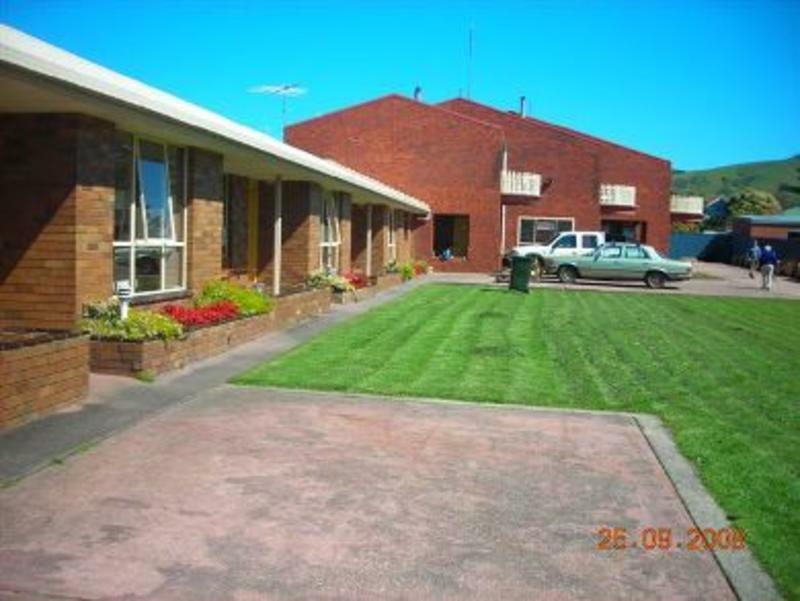 Located in Apollo Bay just 100mts from the bus stop, beach, information center, shops, cafes & supermarket. 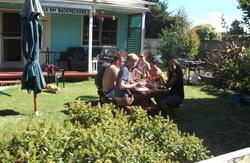 The accommodation offers friendly laid back 3 star rated accommodation at very reasonable rates. The lodges 1 & 2 bedroom apartments come with their own lounge (TV & DVD), kitchen, & bathroom (some with spas). Double & twin rooms are also located in 2 bedroom apartments sharing facilities with 1 other room only. Breakfast, bedding & towels provided in all these rooms. Wi Fi also available (pay for access). The Lodge`s spacious dorm hostel has 4 & 5 bed dorms and family rooms. 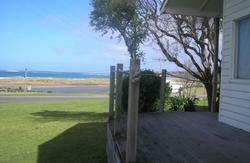 A spacious lounge area with sundeck providing views of the Otway Ranges and Coastline. The Lounge area has TV, DVD & CD players internet & Wi Fi available. A fully equipped kitchen with free breakfast supplied (toast, cereals, tea, coffee & fruit Juice). Ample free off street parking and spacious outdoor areas all just 2 minutes from supermarket, shops & bus stop. 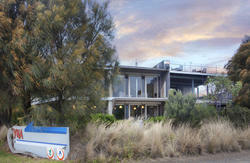 The Lodge brings a new standard of hostel accommodation to The Great Ocean Road.